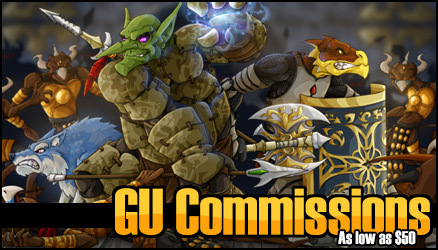 The guildies and I were talking about some of the changes coming to WoW with Mists of Pandaria. 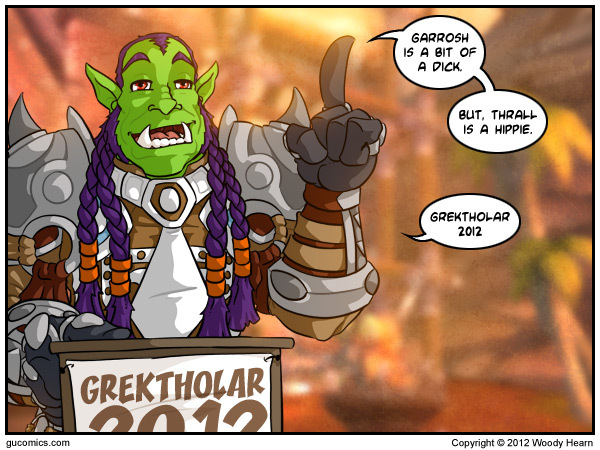 And, we inevitably got to the discussion of Garrosh being the final Boss of the expansion. [more info] This is a mixed bag of nuts for me because I don't like Garrosh, but I hate the idea of Alliance (and Horde) raiding my beloved Orgrimmar. One of the guild mates suggest Sylvanas. To which I responded, "I would uninstall WoW immediately. Remove all WoW comics from my archives. And, purge my forums of any mention of the game. It would be like World of Warcraft never existed." Why the Sylvanas hate? Well, I honestly believe that the Undead are such a destructive force that they shouldn't be in the Horde at all. Neither should they be in the Alliance. They should be their own faction. Now, I've already had some responses to 'Grektholar 2012', but I honestly believe that if anyone be me knew the full scope of my platform, they'd laugh me right out of the Horde. Maybe I'll share that platform with you guys sometime. Maybe. I wanted to pass along an apology to the folks who have ordered coloring books about the delay in delivery. My printer has gone south and I haven't been able to print packing slips of shipping labels. Please bear with me. They're going out tomorrow if I have to do it all by hand.